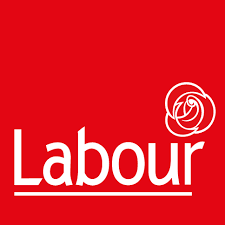 London Green Left Blog: What Really is Labour's Policy on Brexit? Days after the referendum, in which Britain voted to leave the European Union (EU), the Labour Party leader, Jeremy Corbyn, called for Article 50 to be triggered as quickly as possible, to set in motion our formal negotiations to leave the organisation. A couple of months later, Corbyn and John McDonnell, the party's Shadow Chancellor, having seemingly had a bit more time to think about it, stated that we should retain the free movement of people with the EU, but leave the single trading market. This vision had the rare distinction of being a policy position, that displeased both remain and leave voters in equal measures. The worst of both worlds, for everyone but the Labour leadership. Not only not a vote winner, but a massive vote loser. Then a month ago, John McDonnell told a meeting in London, "Labour accepts the referendum result as the voice of the majority and we must embrace the enormous opportunities to reshape our country that Brexit has opened for us." He went on to say "It is time we all were more positive about Brexit." So we come to yesterday's speech by Keir Starmer, Labour's Shadow Brexit Secretary, at the London office of Bloomberg, of all places, which takes a very different view of what Labour's policy position should be. Sounds rather different from McDonnell's "we cannot hide from the fact that too much of the EU also had aspects of the old model, putting the interests of big business over ordinary people." At least the Tory government are also sending out conflicting signals of their intentions on the kind of Brexit they want. But Labour should really be after the government on this, it is the single biggest political issue for the UK by miles. The government is split, Labour's obvious contradictory confusion is letting the Tories off the hook. If the government mess this up, then the voters will need to have faith that Labour can do a better job of it, and I don't get the impression that people are too confident of what Labour really thinks about the issue. I think the membership are nearer to Starmer than McDonnell on this, and certainly Labour MPs are. Not much support for the leadership's position at all as far as I can see it, in Labour. "In his major speech laying out Labour’s position on the EU negotiations, Shadow Brexit Minister explicitly supported recent comments of Unite general secretary Len McCluskey that have called for an end to Britain’s free movement relationship with Europe. “It must be shouted from the rooftops that immigration is not responsible for the drastic fall in real term wage levels seen since the financial crisis. Migrants are not responsible for the zero hours economy. They are not responsible for super-exploitation of the vulnerable by irresponsible employers. No credible study on the effects of immigration on the labour market has shown otherwise."